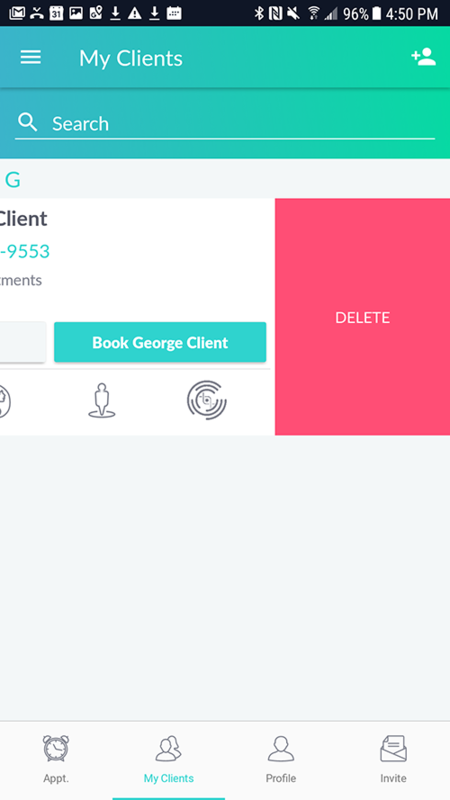 If you need to delete or block a client who keeps booking and not showing up for appointments (or any other reasons) you can easily do so within the app. 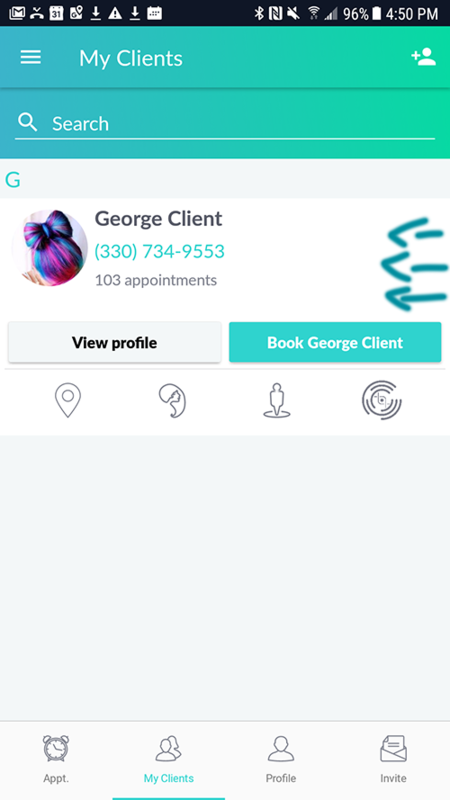 Click on the Menu, select My Clients, and swipe to the left ( from the right to the left ). You will then see the Delete option. Click on it, and that client will no longer be able to book your services.